When Arthur released Loneliness is Bliss in 1999, the album didn’t seem to be much more then a way for the boys in MxPx to show a softer side and release music that wasn’t MxPx. And to any MxPx fan and music collector, Loneliness is Bliss is a fantastic little 90’s emo record. MxPx on ritalin if you will. So upon hearing in mid-November that Arthur would release a new full-length December 7th was a bit of shocking, albeit welcome news to me. Watch the Years Crawl By is an amazing throwback to the mid-90’s emo scene. Think that early Deep Elm sound. It’s pretty amazing actually. The production on Watch the Years Crawl By is solid and has a nice clean, full sound that was missing from the band’s debut. Mike Herrera has written some of the catchiest songs of his career. The album is a nice mix of straight ahead rock songs (Cold Outside, America) and very nice ballads (Be Still, To Have And to Hold) and everything in between. Heartache and You Bring Me To My Knees sound like songs that could’ve fit on any of the last 3 MxPx records. Tie Me to You sounds most like the band’s debut and Thought A Lot, the opening track of Loneliness is Bliss, is redone on the new record. Top to bottom Watch the Years Crawl By is a great record. Anyone looking for a solid rock record should really check Arthur out. Don’t let any MxPx hatred stop you from picking this up. 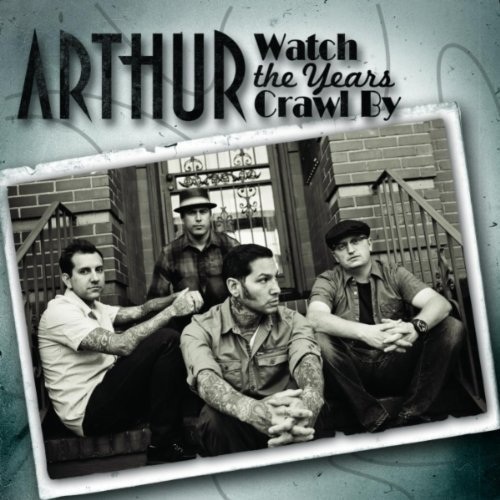 While the similarities will be there simply for the fact that Mike is singing, Arthur has a different sound and I don’t think a dislike of MxPx will mean you dislike Watch the Years Crawl By. It’s a late year addition to the best of the year. kaki king ?? theres so many better sounding and writing guitarists then her. check out Andy Mckee, Antoine Dufour, Don Alder, Don Ross, but then again maybe she speaks to you I think shes okay but waaaaay overated.